There is no better time than the present to anoint another Independence Bank player of the week. Independence Bank is proud to sponsor a weekly article highlighting players in the areas where Independence Bank flourishes who embody the same type of revolutionary service to their respective football teams which has made Independence Bank unique and special in the banking industry. Independence Bank has a goal of achieving everyday excellence, and this week we are focusing on a player whose performance both has and continues to exceed both the Maroons’ and the Hopkins County community’s expectations. We are focusing on the class of 2020, Fullback, Jeriah Hightower, from Madisonville, Kentucky, whose North-Hopkins High School is right down the road from the Independence Bank branches located on 1776 North Main Street and 629 East Center Street both in Madisonville, Kentucky. Jeriah Hightower is just having an incredible year. 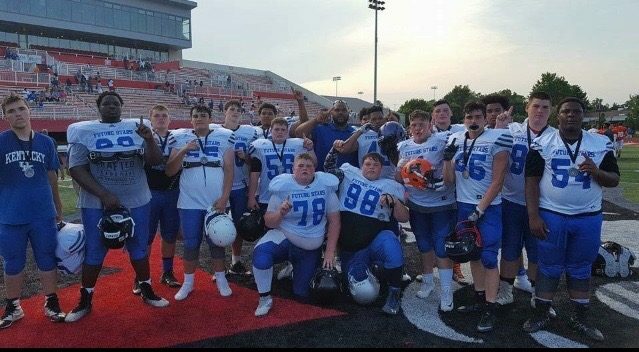 Of course, the former member of Team Kentucky, was selected to our KPGFootball, sophomore All-State Football team after last season so his being a force with whom to reckon isn’t new. This year he seems to be doing a disproportionately large amount of the lifting, if you will. Against Calloway County this past Friday night, Hightower gained 201 of the team’s 293 rushing yards in 12 carries and scored 3 of the team’s 4 rushing TDs. In only six games this season, Hightower has gained 1,037 yards of the team’s 1,547 yards rushing, and has averaged 173 rushing yards a contest of the team’s 257.8. What about rushing TDs you ask? Well, he’s scored 14 of the team’s 20 rushing TDs through 6 games. He has gained his over 1,000 yards rushing in 6 games while carrying it 117 times. Hightower has averaged 8.86 yards every time he’s carried it on the season. Oponnents know his getting the ball too. Hightower has 117 of the team’s 226 carries during the six game stretch which means Hightower gets the football nearly 52% of the time (.51769912) when they run the football, which they have done 226 out of 316 plays, or nearly 72% of the time. Hightower has touched the football on offense on 117 out of 316 total plays (.37025316). In other words, even if a team were to assume Jeriah had the ball every play, and therefore tackle Hightower every time, run or pass (he hasn’t had the ball thrown to him yet), the team would be right more than one-third of the time. At KPGFootball, we believe that is certainly doing one’s fair share, wouldn’t you agree? 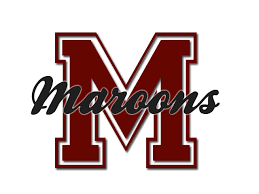 Congratulations to Jeriah Hightower from the Madisonville North-Hopkins Maroons in Madisonville, Kentucky for his Revolutionary Play which has earned him this week’s recognition from the fastest growing bank in the Commonwealth of Kentucky…your friends at Independence Bank.